Your Membership guarantees appointments, provides valuable services and discounts on repairs, and allows you to apply special discounts towards the purchase of special services or even a complete replacement system. Regular service of your equipment can save you money over the long haul in energy costs. In fact, as much as 30% per year. And regular service can extend the life of your system. Your membership will literally pay for itself year after year. 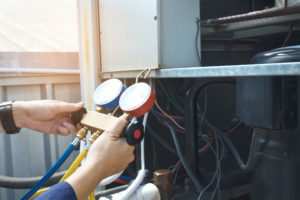 As a preferred client, you can expect our highly trained and competent technicians to become completely familiar with you and your air conditioner and heating equipment. Our technicians continue to undergo training each year. Their knowledge is your gain! Download our Chief Protection Plan to learn more or fill out the form below and we will be in contact with you.